Internal communications allow for effective communication within organisations. As with all outputs, internal communications must be consistent with the brand tone and voice that employees have come to know and trust. 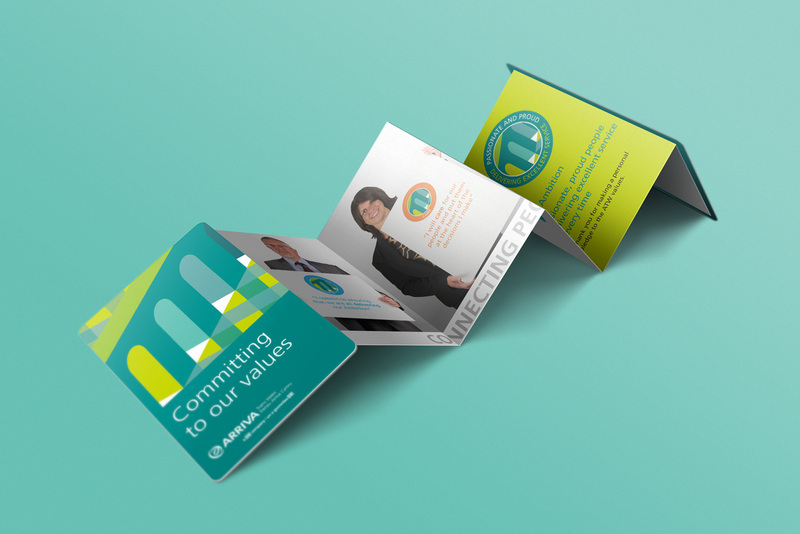 We’ve designed a wide range of internal communications for rail provider, Arriva Trains Wales. These have ranged from management conference materials to every day updates and announcements. Internal communications can take many forms. As can be demonstrated through our work on the ATW management conference materials, booklets, websites and even videos can all be used effectively to communicate with staff and stakeholders. 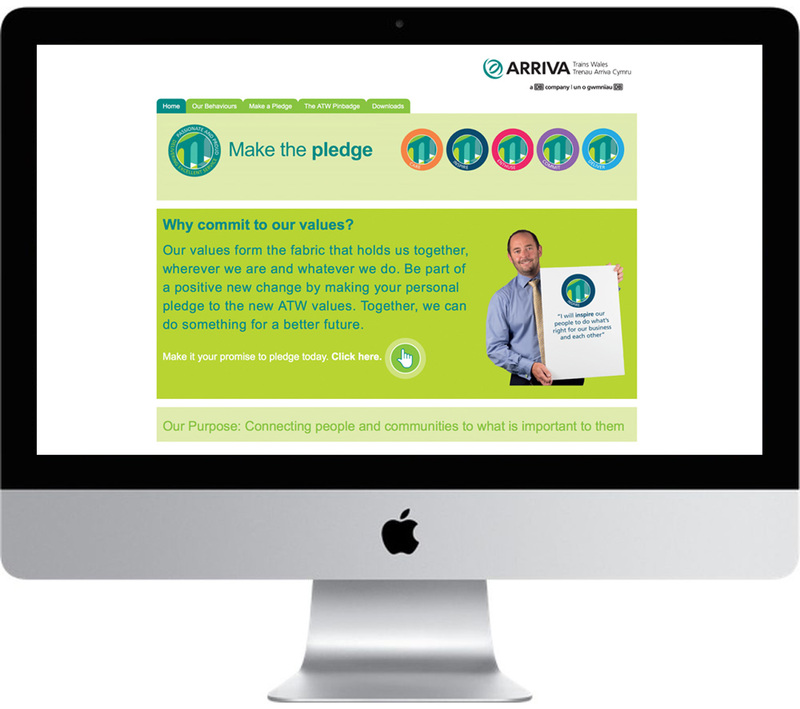 We designed the entire brand package for the Arriva ‘take the pledge’ management conference. 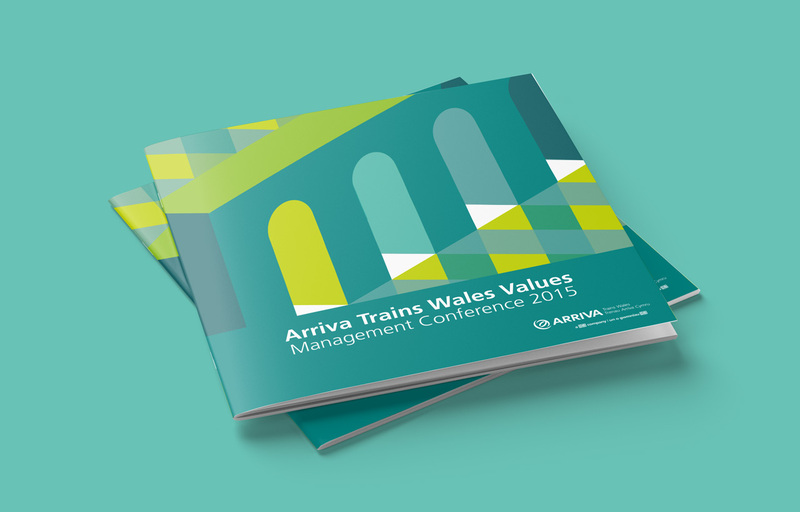 We weaved Arriva’s internal brand guidelines into a series of designs that drew upon the viaduct theme- an iconic symbol synonymous with rail travel. If you want a friendly and informed chat about how internal communications can help you to engage with your employees, get in touch– we’d love to hear from you.